The complete kit contains about 94 parts. The parts are bagged individually by circuit board to make it easy to find the parts needed when they are needed. The standard kit uses the highly regarded Panasonic FC series capacitors. They are rated for high temperatures and long service life and they are the first choice for long term reliability. You have the option of upgrading to Elna Silmic II capacitors. These are rated for the same temperatures as the originals, and have been popularized online, particularly in the Marantz forum on audiokarma.org. Which is a great place to read more about this topic. The kit uses the highly regarded Panasonic TH-A series capacitors. They are rated for high temperatures and long service life. The TH-A capacitors are massive, 50mm diameter, and they fit the original clamps. These are an ideal replacement which will not be available much longer. Why upgrade indeed? Panasonic FC and TH-A were selected for sound quality and reliability both. It's the standard rebuild kit used at irebuildmarantz.com. People whose opinions I value say "put in a decent quality cap of the correct value and move on!" 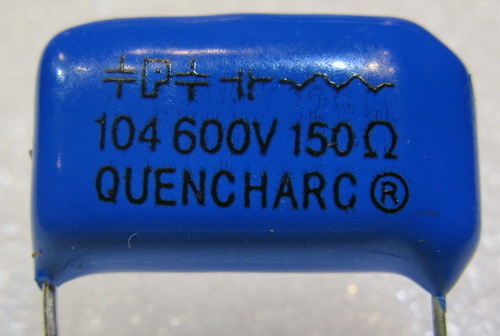 This is based in part on the knowledge that today's capacitors perform as well or better than the originals. But then there are the people whose opinions I value that believe a sonic improvement comes from upgrading to the Elna Silmic II caps. I can't hear it or measure it, but I believe them when they say they can hear it. So either way you are going to greatly improve the sound of your Marantz. Pick which caps you want and you won't go wrong. 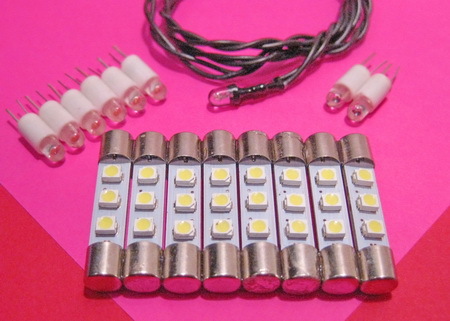 LED lamps are available separately.